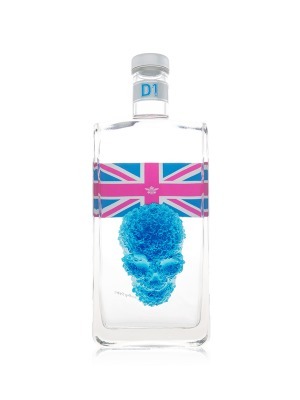 D1 London Gin is a popular Craft Gin available from TheDrinkShop in 70cl to buy online. Visit TheDrinkShop for the best price for 70cl of D1 London Gin or compare prices on our other Craft Gin products. D1 London Gin encapsulates quintessential British flavours and aromas, with orange and fruit tea expressions around a confidently balanced juniper backbone. The distillation in copper brings in fresh blackcurrant aromas that marry with the prominent nettle notes to deliver the smoothest and most versatile gin you will ever enjoy. Nose: A crest of nettle tailed by apricots with rich blackcurrant airs. Palate: Underlying juniper that endures through peaks of orange blossom, lemon oil and even coriander leaf flavours rounded by the elegance of English nettle. Finish: Lingering sweetness from the juniper with an echo of summer fruits. Where to buy D1 London Gin ? D1 London Gin Supermarkets & Stockists. You can buy D1 London Gin online in most retailers and find it in the Craft Gin aisle in supermarkets but we found the best deals online for D1 London Gin in TheDrinkShop, DrinkSupermarket.com, and others. Compare the current price of D1 London Gin in 70cl size in the table of offers below. Simply click on the button to order D1 London Gin online now.